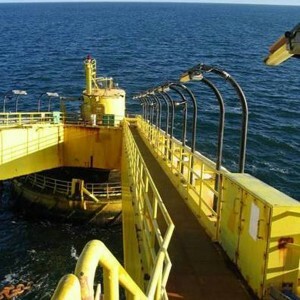 AVT Reliability can apply its structural monitoring capabilities to many diverse projects including offshore Mooring Line Integrity Monitoring. In one such project, following the premature failure of a sub-sea load cell based system, AVT devised a novel strain gauge based system which has now been operating reliably for over 10 years providing a real-time display of the integrity of all 9 No. chains on a 870,000 barrel oil storage tanker mooring. Unlike the original system which was deployed in a hostile sea water environment, the unique AVT system does not directly measure the chain tensions but instead, monitors the stresses in the buoy structural steelwork in reacting those same chain tensions. This has the advantage that the instrumentation can be mounted internally inside the buoy in a clean dry environment. By adopting a hybrid Exd / Exi ATEX certified configuration and using wireless technology, the vital signals are relayed to the monitoring computer on the bridge of the vessel, where the Mooring Chain Integrity is shown in real-time, together with automatic alarms.